The Brentwood StormTank Modules provide an economical alternative to crushed stone, concrete structures, or pipe chamber storage systems. Utilization under most surface covers including impervious and vegetated areas. Designed to exceed the HS-25 Load Rating. Modules can be built on site in less than 2 minutes. No extra equipment is required. Easy inspection and cleaning due to an open module design without internal walls. Available in 18-, 24-, 30-, 33- and 36-inch heights. This rugged and lightweight StormTank Module offers the largest void space of any subsurface stormwater storage unit on the market. These modules are very simple to assemble and install. 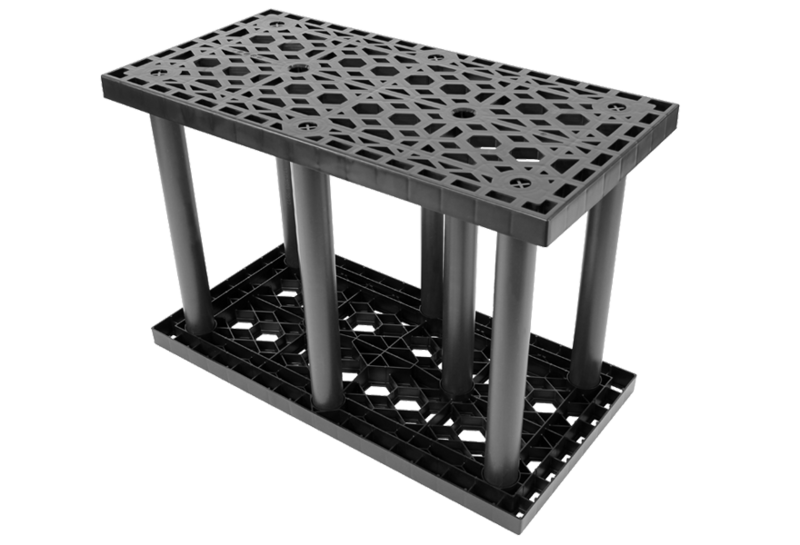 They're easily cleaned and their stackable design allows them to manage large volumes of water. The StormTank Modules have been extensively tested and it demonstrates strength that exceeds the current industry standards.